Raging Rivers A's Days is back for our 2018 season! Students from kindergarten through high school are encouraged to work hard in school so they can play all summer long! To celebrate hard-working students, the park is offering one day FREE admission during our A’s Days on June 2-30, 2018, to individuals providing a 2017-2018 report card with at least one ‘A’ (or equivalent). If students cannot come out to play during one of the special A’s Days, they can bring their report card with an ‘A’ on it to receive $10 off their admission price on an alternative day during the 2018 season. We understand that different schools have different grading systems. We will honor the equivalent grade in any school's grading system, whether it is an A, a 1, an S, an M, etc. The A’s Days Program will replace Raging Rivers’ Raging Reader program which has been offered in the past. 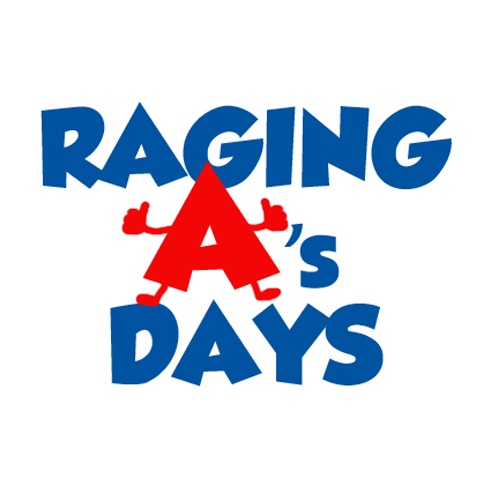 We look forward to our second year of the Raging A's Days program and to welcoming all of the region’s A students during the 2018 season! For any questions about our new program, please email questions@ragingrivers.com or call 618-786-2345.